MSF is a vibrant movement made up of people from all corners of the world who share a common purpose: to save the lives and alleviate the suffering of people in danger by delivering medical care where it is needed most. Our success over the past 40 years is a testament to these people, who have dedicated their time and expertise to MSF’s work overseas and at home. To continue this success our staff – past and present – can shape the movement’s future by becoming a member of an MSF Association. Each of the 23 MSF offices is an association – an organisation owned by members, who not only shape and safeguard the work of their MSF offices but also join together to shape the future of the MSF movement. How do MSF Associations work? Becoming a member means taking collective responsibility for MSF. And because the people making the decisions have worked with MSF, the organisation stays focused on medical care and our core principles: independence, impartiality and neutrality. In most MSF offices, association members elect the Board of Trustees, who govern on their behalf. The Board of Trustees is ultimately responsible for what the local office does. It appoints an Executive Director, takes responsibility for the actions of the local office and works to guarantee that the MSF principles are respected. The Board delegates the implementation of strategy to the local office management team, who run the office day-to-day. Every six weeks the Board meets to ensure that the office is well run and achieving its objectives. Elected representatives, from the local office, meet together with colleagues from the other MSF associations contributing their voices to the global discussions shaping MSF’s work. During the annual International General Assembly the MSF President is appointed and an International Board chosen. They are responsible for bringing coherence to our vibrant and diverse movement. Who can become an Association member? 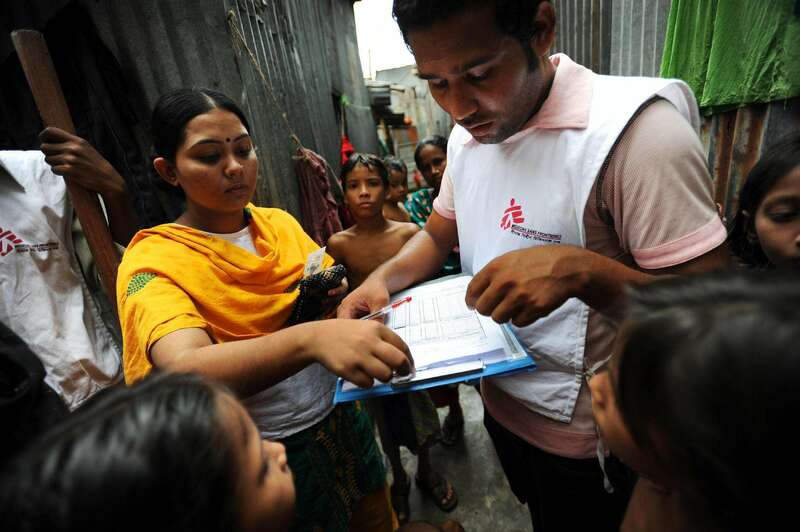 MSF field staff, office staff and office volunteers may apply to join after they have worked with MSF for six months. Their contribution to MSF may have been with any section and in any mission. They can be anywhere around the globe and from any nationality. Association members are ambassadors for MSF. They promote MSF’s ideals, aims and mission, raising awareness of what MSF is and what it stands for. For example, Nurse Janet Hearn has worked with MSF in Angola, Sudan and Nigeria. Back in the UK she works at Addenbrookes Hospital, Cambridge but she still contributes to MSF as a member of the MSF UK association. Janet is an ambassador for MSF, telling her community about the crises we are responding to and explaining our humanitarian response. The MSF Associations turn our organisation in to a powerful movement, lead by the people who work for us, which is responsive to the realities of delivering medical aid in the world’s most challenging places and open to new ideas.